Nancy Wallace served as the visual arts teacher at Decherd Elementary School, Decherd, TN for many years, retiring in 2013. She has a attended workshops at the Appalachian Center for Crafts, Smithville, Tennessee, and Shakerag workshops in Sewanee. 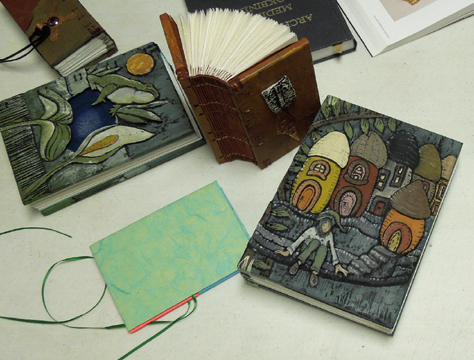 Nancy began creating one of a kind hand bound books and journals several years ago. 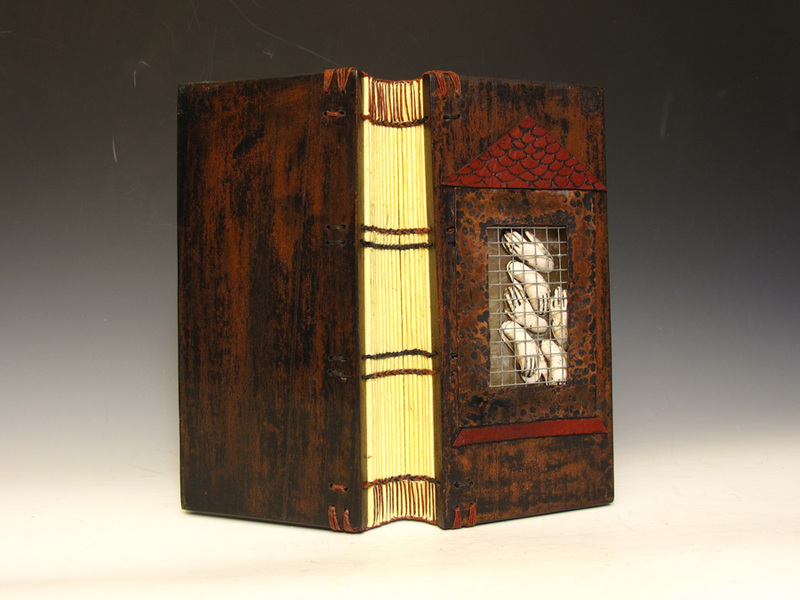 Her books are traditional in form and are bound with a variation of Coptic stitching which evolved in Christian North Africa about the 4th century A.D. 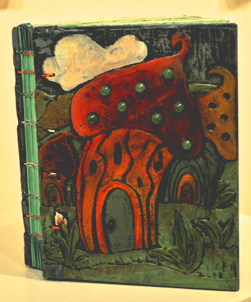 The wooden covers of each book are sculptural multimedia relief. 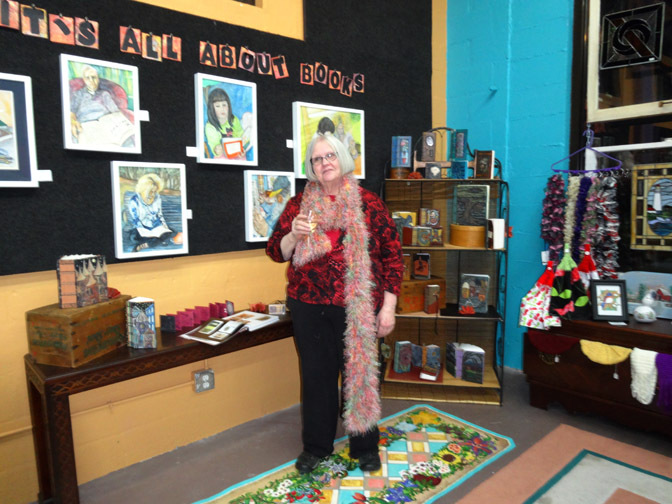 Nancy works at her studio in Winchester, Tennessee.